1. You’ll want to start with the biscuits so that they can bake while you’re doing everything else. Preheat the oven to 425 degrees. 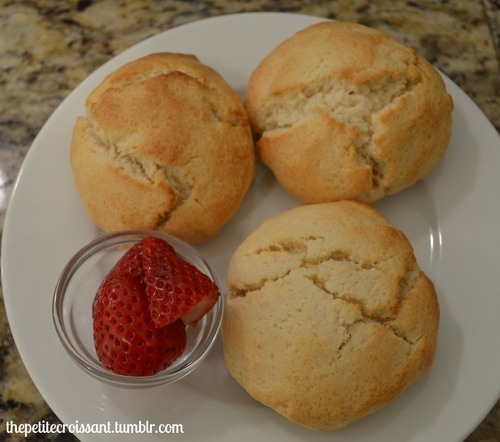 Mix the Bisquick, milk, sugar, butter, and lemon zest in your electric mixer until a dough forms. 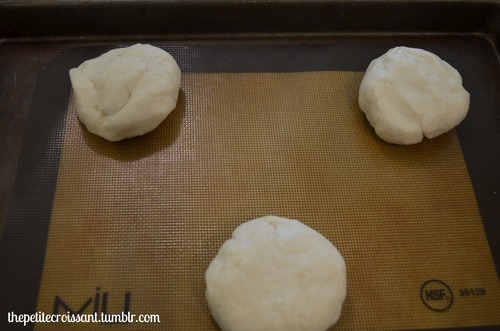 Then place the dough in 6 balls onto a greased pan. Bake for 10-12 mins. To make sure they’ve cooked all the way through, insert a toothpick and make sure it comes out clean. 2. While the biscuits are in the oven, prepare the compote. 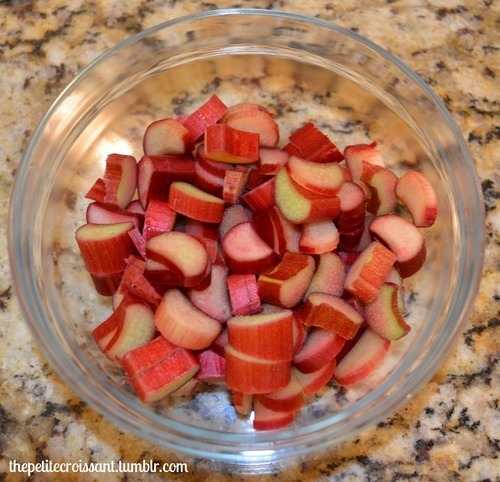 Place the rhubarb, sugar, and water in a pan on the stove and bring to a boil. 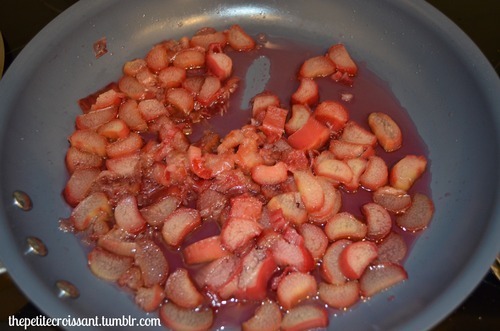 Once it boils, cover the pan and reduce heat and simmer for about five minutes, until rhubarb is tender. Remove from heat. 3. 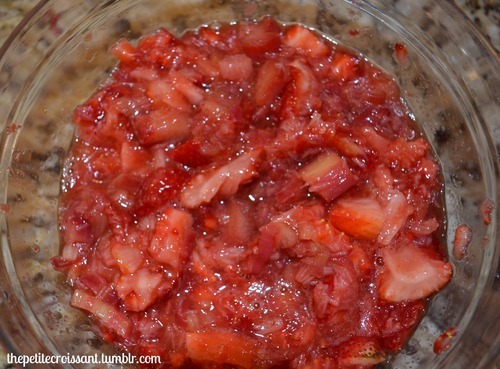 Mash up your strawberries using either a fork or a masher. 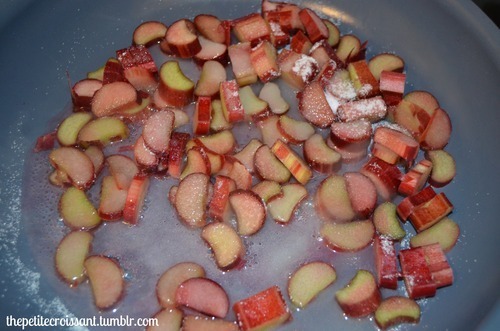 Mix with the rhubarb mixture. Set aside. 4. Place the whipping cream in your electric mixer fitted with the whisk attachment and beat at a high speed until peaks start forming. 5. Now you get to assemble everything. You have two options. For the traditional option: slice the biscuit in half. Place the bottom half on a plate. Pile some of the compote and whipped cream on top before putting the top part of the biscuit back on. 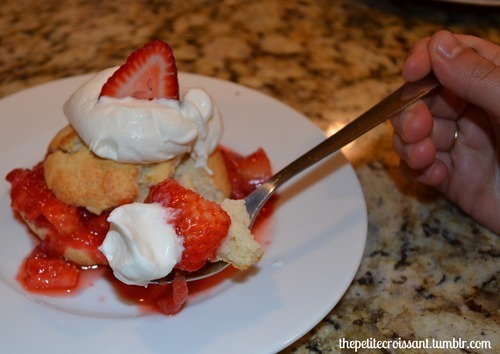 Then place a dollop of whipped cream on top and a strawberry on top of that. 6. For option two: crumble the biscuit up. Get a glass and spread about half of the crumbs on the bottom. 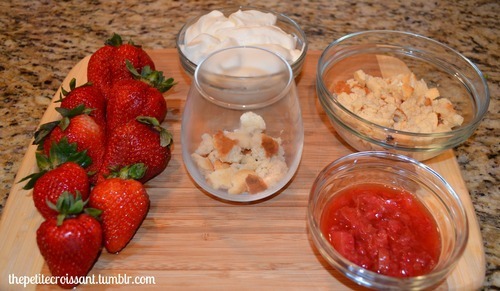 Then spread a layer of strawberry rhubarb compote, followed by whipped cream. 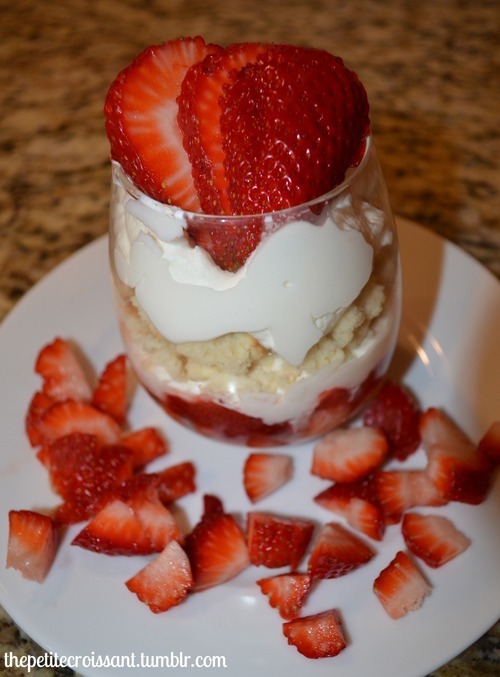 Place the rest of the crumbs on top of this, followed by another dollop of whipped cream and a strawberry on top. 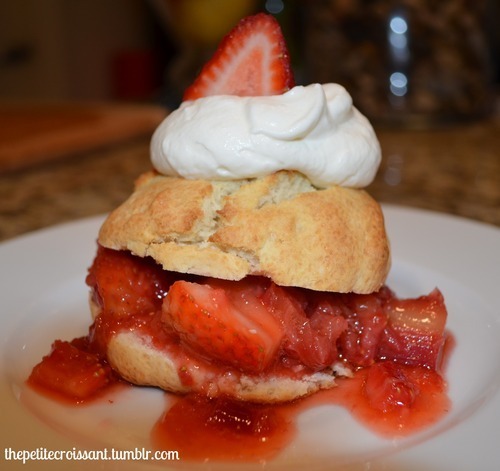 Note: If you want to just make regular strawberry shortcake (minus the rhubarb), do the same thing for the biscuits and whipped cream. 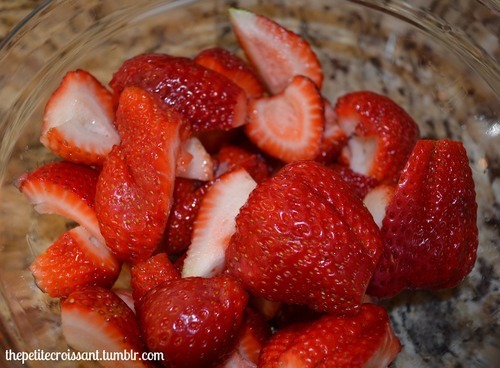 For the strawberries, literally mash up strawberries. Otherwise the same. 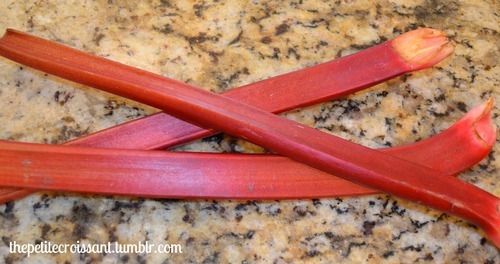 But honestly, the rhubarb makes it so much better, so just do that!